The Netherlands heavyweight has achieved double-digit growth since 2016. Netherlands-based De Brauw Blackstone Westbroek has grown its revenue to $191.8 million to date this year, as the firm continues to see an uptick in financial results. The Amsterdam-based outfit has also promoted two senior associates to partner, bringing its total number to 66. Since 2016 the firm has grown its revenue by over 13 percent, with its financial year ending Dec. 31. 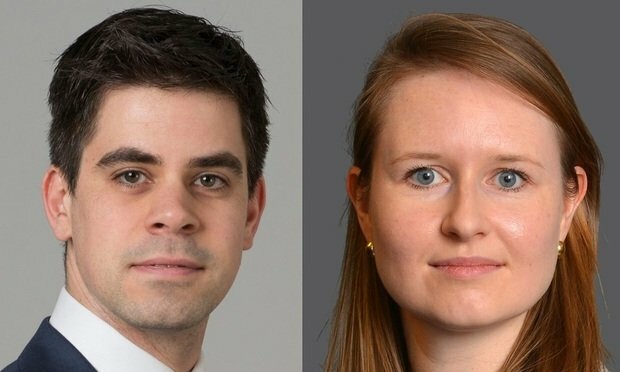 Martje Verhoeven-de Vries Lentsch and Bart de Rijke (left to right above) have been promoted, joining the firm’s litigation and arbitration and EU competition law, intellectual property law, and internal investigations groups, respectively. Recent significant mandates De Brauw has worked on include advising technology company Siemens on its acquisition of Mendix for $712.6 million, and advising Tata Steel’s join venture with Thyssenkrupp. Last month, fellow continental European heavyweight Garrigues also announced its latest partner promotion round. The Spanish firm has promoted 15 lawyers to its partnership, after boosting global revenues by 3 percent to $413.5 million during 2017-18.